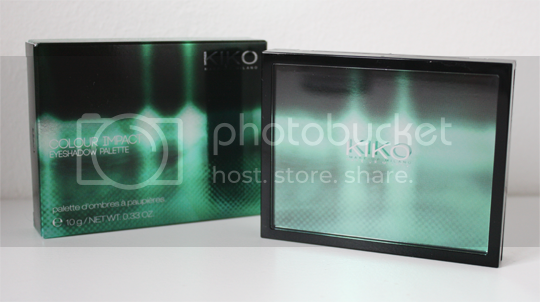 I’ve never met a Kiko eye product I didn’t like. Thankfully this Bright Night Lights Palette* from Kiko’s new Dark Heroine collection hasn’t broken that chain – prepare yourself for some awesome pigment. 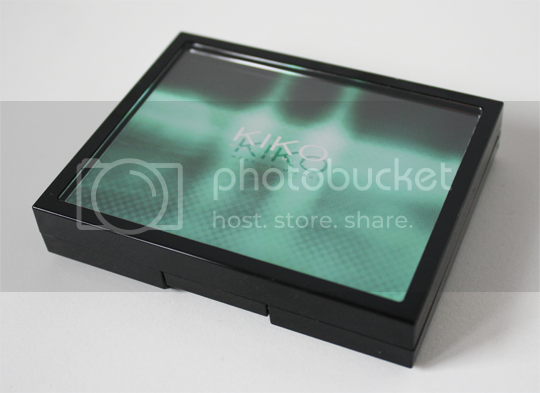 One of the things I really love about Kiko’s limited edition collections is that they never look the same. The packaging for each collection is wildly different, and I’m particularly keen on the modern, kinda futuristic multi-layered design on the Dark Heroine packaging. 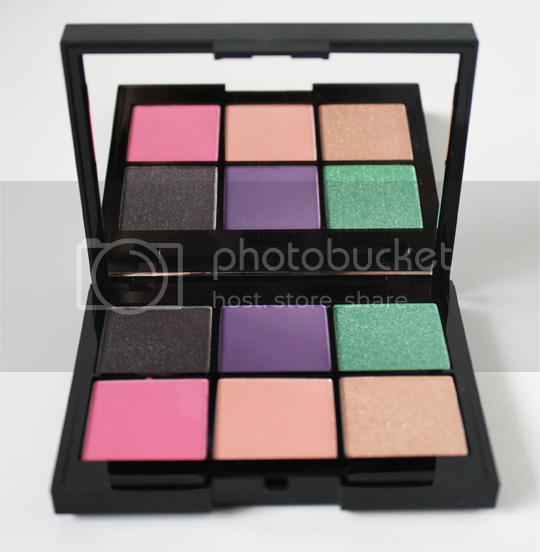 As for what’s inside, there is of course the cursory big mirror which is always welcome, and six beautifully pigmented and buttery soft eyeshadow colours. I am particularly keen on the three matte shades in the palette, and can appreciate the texture and finish of the high-shimmer shades even if the colours aren’t 100% ‘me’. 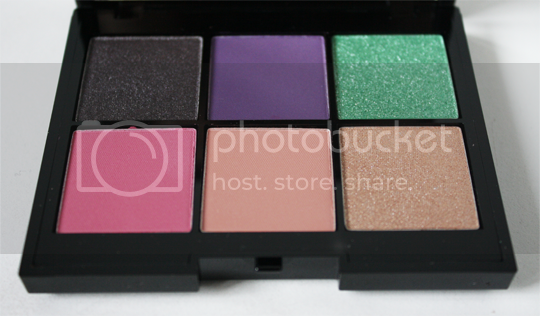 Don’t you think the four middle shades (purple, green, pink, peach) are super reminiscent of the Illamasqua Paranormal Palette? All of the colours are astoundingly pigmented and pleasant to use, blending together with ease and not losing colour intensity as you do so. The only colour that I felt was a bit of a let-down is the shimmery beige, this seems the least pigmented but it’s not bad by any means. 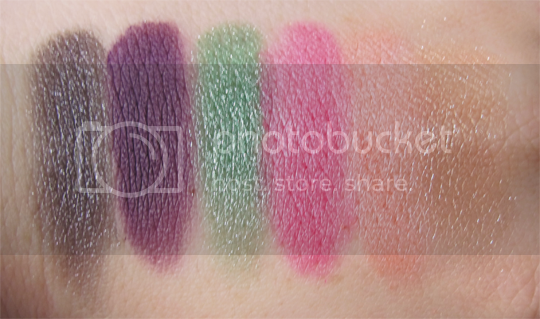 I do really like the texture of these shadows, they’re more satin-soft that previous Kiko palettes I’ve tried, but I have to say I’m not completely in love with this particular colourway. There are 4 available in total – along with Bright Night Lights there is also Lounge Warm Tones (browns, golds and burgundies – MUCH more up my street and reviewed here by my girl Sascha), Street Taupe Variation (smoky lilac taupes), and Rain Smoky Shades (blackened blues and greens). The formula is excellent, so if you like the look of Bright Night Lights or the sound of one of the other colourways I wouldn’t hesitate to recommend picking one up. 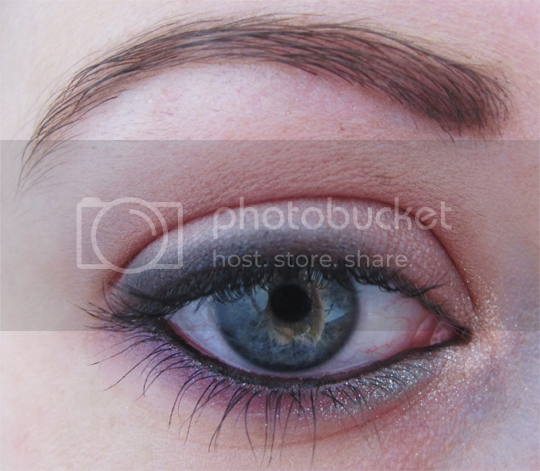 I’ve got my eye on Lounge Warm Tones as a staple palette of Autumnal shades – and it won’t break the bank at £15.90. Kiko’s Dark Heroine collection is available online and in Kiko stores. Will you be going to have a little swatch? I’m slowly replacing all my makeup with KIKO stuff. I’m not a big makeup person as you know but those little stores really draw me in. The price and quality are top notch and they always have loads of amazing colours of everything! I’ve even got my mom in the US addicted to them now too!